Arjun Khotkar, Minister of State for Textiles, Govt. of Maharashtra said that Maharashtra, which currently lags in silk production, will become the exporter of silk in next five years. This is due to new textile policy of the government which provides various incentives and support for the promotion of the sector. 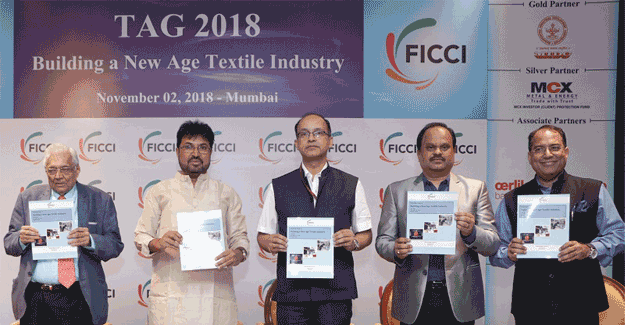 Speaking at the 10th edition of Annual Textile conference ‘FICCI-TAG 2018’ Arjun said, “Currently we import 8000 metric tons of raw silk due to higher demand and shortage of silk production in India, however, Maharashtra alone will be able to wipe out this deficit and export raw silk in next 4-5 years”. He added, “After the huge success of Nandgaonpeth Textile Park in Amaravati, Maharashtra government will set up nine more textile parks in the state on the theme of cotton to cloth, farm to fashion, which will be engines of job creation in the state”.